Andra Pradesh, Aug 12, 2017 : Abu Dhabi-based B R Shetty group will set up a quantum and analytics healthcare centre as a part of the proposed integrated BRS Medicity in Andhra Pradesh’s capital city Amaravati. 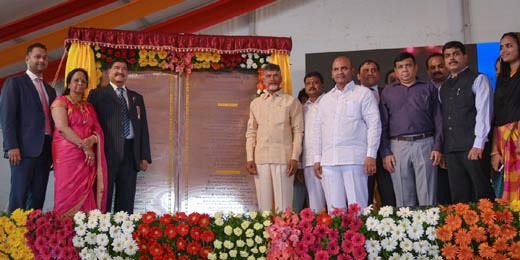 Chief Minister N Chandrababu Naidu laid the foundation stone for the BRS Medicity, a 1.8 billion USD project, in the capital region. The Medicity will have a Rs 1,150 crore medical university for 800 students, Rs 1,500 crore super-speciality hospital with 1,500 beds, Rs 500 crore medical devices manufacturing facility, knowledge process outsourcing centre that will employ 4,000 people, stem cell research centre, naturopathy and a yoga centre. The BR Shetty group will also set up an International Baccalaureate School that could have could have an intake of 2,890 students and provide 500 jobs.